There’s a better way with Registration Gateway. Once the sultry days of summer come to a screeching halt, teachers and secretaries return to the daunting task of organizing students’ paperwork. Over the last decade, filing documents has taken up a fair chunk of time and money while also leaving a wide margin of error, which prevents schools from receiving financial incentives. Luckily, there is a solution that can streamline workloads and eliminate errors: SRC Solutions Registration Gateway. Click each tab below to learn about the important features of Registration Gateway. Registration Gateway eliminates manual data entry providing parents with one of a kind TypeAhead Address Entry ensuring spelling errors are a thing of the past. Registration Gateway provides a completely integrated software based document scanning solution eliminating risks associated with browsing and uploading of personal student records. Registration Gateway integrates with all major Student Information Systems automating the flow of new and returning student data eliminating 100% of manual data entry. 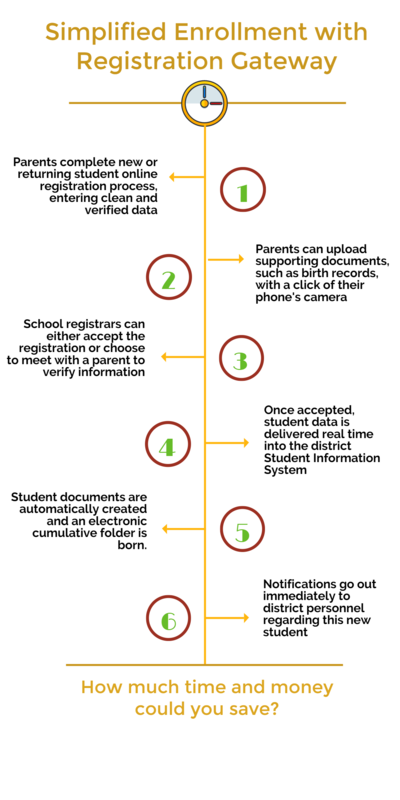 Registration Gateway offers both parent and district wide notifications for new student registrations, returning student updates as well as for missing documents. No more making copies of papers to be passed from teacher to teacher. 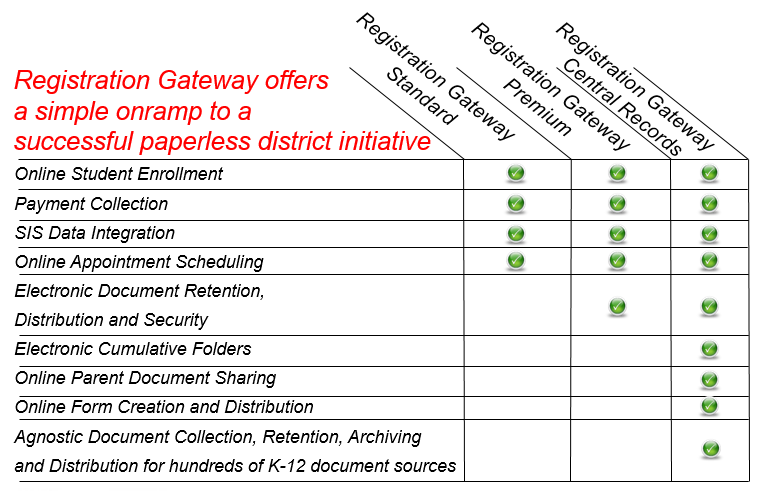 Registration Gateway offers three paths to school district online enrollment efficiency. Click below to learn more. Registration Gateway Standard will take your district’s paper registration process and transform it into an online experience for both parents and staff alike. Online enrollment is only one great benefit but when you combine integrated Student Information System data transfer, fee collection, appointment scheduling, district notifications, enhanced dashboards and reporting and much more what you truly have is an Online Enrollment Solution for years to come. Click here to download the Registration Gateway Brochure. Registration Gateway Premium builds upon Registration Gateway Standard by incorporating fully secured document management, integrated scanning and missing document notifications to your Online Enrollment environment. Registration Gateway Central Records (RGCR) is your complete solution for Online Enrollment and Electronic Cumulative Folders. RGCR adds enhances document archiving, permissions and retention to your digital district strategy. RGCR also includes an on-the-fly custom online form builder as well as parent access to district approved documents eliminating time consuming manual searches and requests. 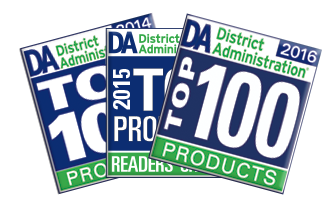 Thank you for our valued customers who voted Registration Gateway this prestigious honor. Find out what Registration Gateway can do for your district. Register for a free demo today and see the immediate cost and time saving benefits.